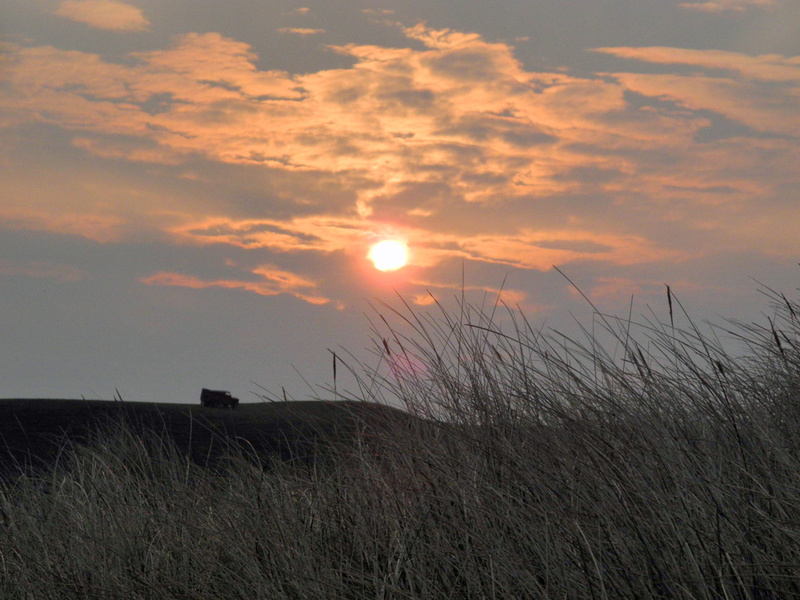 A sunrise over the dunes at Kilchoman, seen from the track through the dunes from the car park. The Land Rover belongs to Rockside Farm, Mark French (or someone from his farm) checking up on the cattle and sheep grazing in the area. This entry was posted in Cloudy Weather, Landscape, Repost, Sunny Weather and tagged Islay, Kilchoman, Rockside Farm by Armin Grewe. Bookmark the permalink.